Your brakes should be able to function the same, every time you use them. That’s an important aspect of vehicle safety that ensures that you and everyone else on the road aren’t in danger. If your brakes malfunction, it drastically increases the chances that you could get into an accident. Our amazing technicians at Master Muffler in Downtown Salt Lake City can help you fix any issues that might arise in your brake system. Brakes are able to slow down such a heavy object like your vehicle by turning the car’s kinetic energy into friction, which enables it to use its own weight and power to slow down. 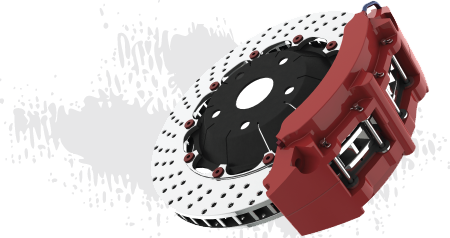 This is done with two main types of brake systems: drum brakes and disc brakes. Drum brakes have a wheel cylinder that is inside of a drum that is equipped with brake shoes on each wheel. The shoes are pressed against the drum to slow down whenever you use the brakes. Disc brakes have brake pads that compress into each other when you press on the brakes, which enables you to start and stop, smoothly. 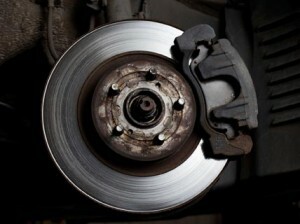 Grinding and Screeching: Unusual sounds when you brake are signs that the brake pads are worn away. Brake Light Indication: Some vehicles have a brake light indicator in the dashboard that will tell you when something is wrong with the brake system. (801) 305-3049 If you or someone you know in Downtown SLC is in need of brake repair, maintenance, or an inspection, then don’t hesitate to give our friendly and experienced technicians at Master Muffler a call. We take pride in keeping your vehicle on the road, and your right to the freedom of transportation alive!